In this action-packed thriller sequel to Envy, foreign exchange student Olivia Grant is stabbed to death after a party - and the prime suspect is her best friend. As twins Hayley and Taylor Ryan get pulled into aftermath of this Amanda Knox-like crime, they realize nothing is what it seems. Could it be betrayal of the ultimate kind? 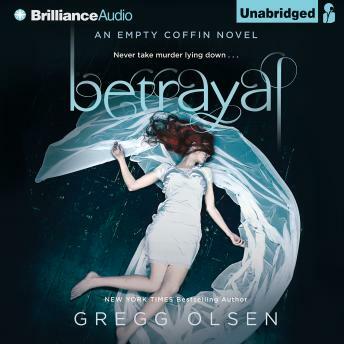 Betrayal features real-life crime-solving techniques, heart-stopping suspense, plenty of red herrings, hard-hitting ethical questions, and information about the Amanda Knox case that inspired the novel. As the crime unravels, so does the twins' past...and they must face off against a family member who may unexpectedly have carried out the worst betrayal of all.